As part of the Halloween festivities this year there will be fancy dress taking place at ICHAS. 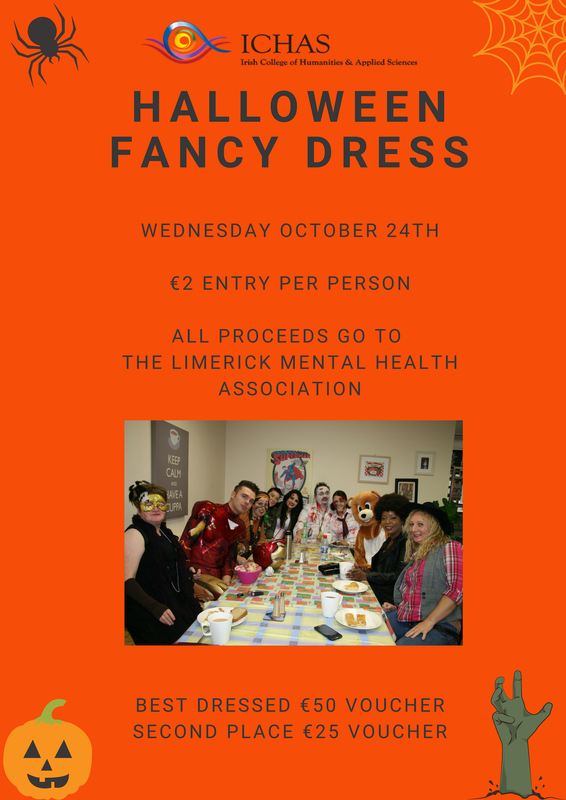 Its €2 to enter the competition and all proceeds go towards the Limerick Mental Health Association. There will also be prizes for best dressed as well as for 2nd place!!! So its time to drag out the costumes and get set for some Halloween Fun! !